This ghostly nurse lurks in the Tooth Fairy maze. Photo courtesy of Knott's Scary Farm. If the Haunted Mansion is spooky at best, if Cruella is macabre but too kooky, and if Goofy's skeleton costume just doesn't give you the chills, then maybe you need to head north to Knott's Berry Farm for their annual Knott's Scary Farm to get your thrills on. This pumpkin tableau may look Disney enough... but the entrance to Trick or Treat is about the only cute thing at Knott's Scary Farm. Photo by Todd Pickering. For over 40 years, Knott's Berry Farm has brought its fright-fest to Southern California. 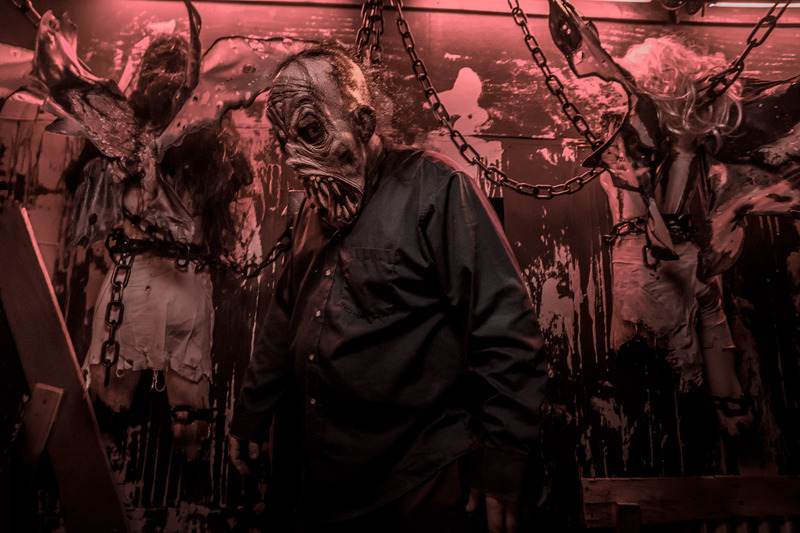 This year Knott's Scary Farm has two shows; nine haunted mazes; four Skeleton Key rooms (for an extra cost); and more monsters, zombies, and creepy clowns walking about than you can shake a stick at. The big rollercoasters are also open during these evenings. Presented twice nightly, The Hanging is a fast-paced, action-packed parody show presented in an outdoor standing-only theater. The show skewers the pop culture of the year including Donald Trump, Hillary and Bill Clinton, Bernie Sanders, Tarzan, Spider-Man, Deadpool, Pokemon, Harley Quinn, and the Joker to name just a few. There are a lot acrobats, fighting, and special effects, but the parody and the comedy falls short. The show is almost 30 minutes long, but does not sustain itself. The crowd came and went (as it is outdoors). If the show was cut down to 15 minutes and presented four or five times instead of just two, it would have flowed much better. Elvira's Danse Macabre is a better option for a show over The Hanging. It's a dance show in an indoor theatre starring the comedy of Elvira, and also clocks in at 30 minutes, but is well worth it. The crowd on opening night was full of love for the Mistress of the Dark, and she gave it back in full force. Surrounded by a really talented group of dancers she makes an entrance in a dress that has to be seen to be believed. I would definitely choose Elvira's Danse Macabre show over The Hanging to take a break from the screaming. Photo by Todd Pickering. There are also two amazing Cirque du Soleil-style acrobats that do some amazing and fun work on a swinging chandelier. Elvira works the crowd beautifully and cracks jokes quickly and efficiently. If one of her jokes doesn't work she just moves on to the next, but this crowd was eating it up. When she pulled three contestants on stage to lip sync in a "Skare-e-oke" contest, she handled a technical problem like a pro. In fact, it was a treat to see her laugh it off and the crowd left the theater in a fantastic mood. 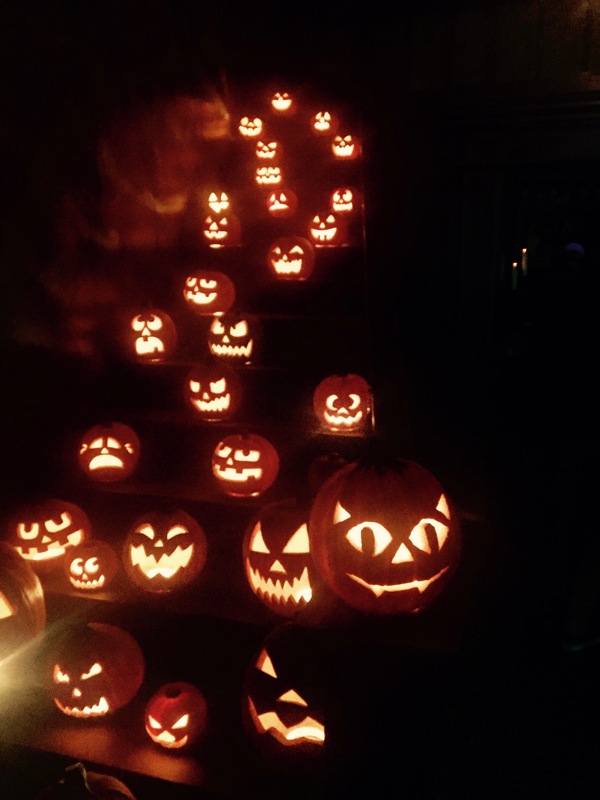 Although the shows are fun, the main reason that people go for this evening are the mazes. There are nine mazes total, with three making their debut in 2016. The first new maze is Shadowlands where you "fight off demon samurai whose souls are cursed to rot within the depths of purgatory." The second is the Red Barn with "carnivorous animals seeking to prey on human flesh." The last one is the best and definitely the most popular: Special Ops Infected. In this maze guests "navigate through an all-new urban maze setting on their mission to find the cure for the infection." The most fun and interactive maze is Special Ops Infected. Photo courtesy of Knott's Scary Farm. The objective in Special Ops Infected is to shoot at the infected, who are wearing lit up neck bands, so they actually die when you hit them. The Knott's workers are dressed as soldiers and they scream at you to get a gun, line up against the wall and pump you up to enter an urban armageddon. If you lead this group in this maze the army guides yell in your face to either "Hurry up, move, move, move" or "Stop soldier. Wait here, line up." I don't know if it was really very scary but my heart was racing from the stress of being yelled at all the time. When a giant thing attacked me I went left into a dead end and I heard, "No, no, no Soldier, wrong way. Wrong way." All of sudden it was over and time to hand in my gun. I had to ask how I did. She glanced at my gun and said I had four hits and no deaths. I guess that means that I killed four infected and didn't die myself? I guess you can die. I'm not sure if we found the cure or even how clear the story was at all but it was great fun. 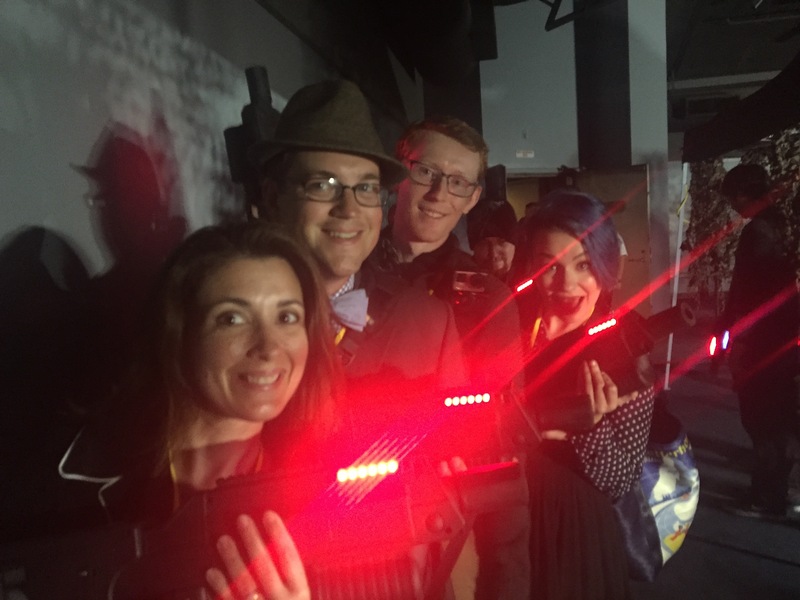 Lisa, Mr. Daps, Tyler, and Caitie (left to right) all had my back in the Special Ops maze. Photo by Todd Pickering. The other two new mazes were no where as effective as returning mazes Trick or Treat, Voo Doo, and The Tooth Fairy. These have a clear story with amazing sets and varied characters so there is a bit more of a build and feeling of immersion. The best pre-show by far is Paranormal Inc. Make sure these are your first four mazes if you are going for the first time. Maybe the newer mazes will be added on to or improved in the years to come. The new Red Barn maze has some creepy animal horror, with lots of hanging slabs of meat... maybe some are human. Photo Courtesy of Knott's Scary Farm. For an extra cost you can pay for Fright Lane and you get four passes to the four Skeleton Key rooms. Fright Lane is Knott's Scary Farm's version of Disney's Fastpass, allowing visitors to go to the front of the line. By the end of the night this was definitely worth the extra cost, as the lines do get long. Skeleton Keys take quite some time to commit to; you'll find this creepy witch in the Trick or Treat Maze. Photo courtesy of Knott's Scary Farm. The Skeleton Keys didn't seem to be worth the extra cost though. They are one-room haunted houses that only allow groups of six in at a time, so the wait times are quite long. Slasher was a 1980s-style slasher film and Zozo was a Ouija Board seance gone terribly wrong. They are eacb about five minutes long. Hitting these right away is the best thing to do before the waits get too long. I thought the mazes were by far more fun though and wish I could have tried the other two Skeleton Keys, Prey and Visions, but the lines were just too long. Keep in mind that all of the ticketed people waiting in line for Skeleton Keys have Fright Lane access... so there is no such thing as going to the front of the queue for these four experiences. Visit Knott's Scary Farm's website for additional information on hours and to purchase tickets. 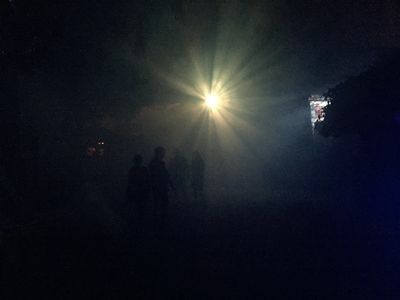 Some of the scariest moments at the event seem to be just walking around the Scare Zones. The Scare Zones are four distinct areas full of monsters, but beware—they can be anywhere and were on hand in the main entrance to start the scares off right. The Carnevil section near all of the coasters is clown themed, but it is pretty bright and you can see all the evil clowns walking about. Some of the best scares take place in the foggy and spooky streets of Ghost Town. Photo by Todd Pickering. Over in Ghost Town's streets there is so much fog and darkness that you don't see these creepy critters sneaking about. Sometimes it is fun to watch the rest of the crowd get scared by these talented ghouls. There are hundreds of them. Early on I turned a corner and at the other end of the street was a man on stilts just standing there staring at me. I stared back. And then he bounded toward me. So I just waited. He glowered at me and then asked for a high five. A personal creepy moment that really made my night and a frightful Halloween indeed. 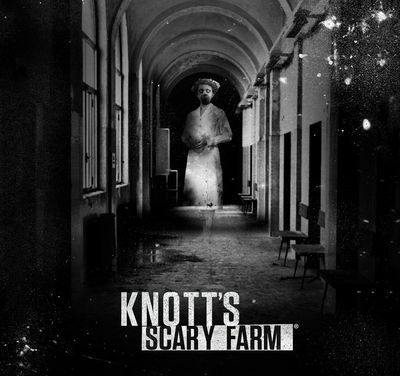 See you at Knott's Scary Farm, if you dare. Photo courtesy of Knott's Scary Farm. I attended the opening night (Thursday September 22, 2016) of Knott's Scary Farm. Afterward, I wrote a letter of complaint to Knott's Berry Farm (guest services) regarding the mazes. I complained that the twists and turns of the mazes were too sharp for an Electronic Convenience Vehicle (ECV) to navigate. I got stuck countless times in my ECV, because the "angle of attack" was not optimal for "Electronic Wheelchairs". (My own device that evening was a rental from Deckert Medical (Santa Ana, CA), as the normal Knott's rental kiosk is closed for Knott's Scary Farm. This should be duly noted by the reader!). In my letter, I suggested that the designers or engineers of the mazes do a test run of all mazes with an Electronic Wheelchair, to see whether the turns can be navigated successfully via an Electronic Wheelchair. Never mind that the combination of (a.) darkness; and (b.) artificial fog; made "finding the next turn" very challenging, as I moved from room to room. In the dark, it was often too hard to see 3-5 feet ahead of my pathway. -- This, despite the fact that my ECV had a headlight lit all the time. Good news, though: Each "monster", or regular Knott's staff member (i.e., not in costume, but wearing the standard black polo shirt), quickly pointed out the next pathway, whenever I did stop/pause (due to the inability to see more than a few feet ahead of me). The monsters would gesture in one direction, and the Knott's staff members would swing their flashlight's beam toward the appropriate path. I hope that in 2017 that Knott's Scary Farm staffers do a thorough review of all maze pathways for (a.) ECV devices; (b.) people who are overweight. I am thinking of one particular maze where there are puffy billows (something like huge marshmallows) squeezing one who is walking (i.e., touching the guest) in one particular straight path of one maze. That "obstacle" might be re-designed. -- I don't think it is wise to have anything in the pathway actually touch a guest. No other maze (no other room) had the room's decorations/appointments actually touch the guests. I would draw the line at "touching the guests." So I am the type of person that gets startled easily and screams bloody murder. For example Disneyland a few years back (at least 10 but can't remember exactly) did a Halloween with real ghosts roaming around the Haunted Mansion (they also had them in POC). The real ghosts in HM made me scream so they then targeted my doom buggy knowing they would get a reaction. My brother riding with me was laughing hysterically. So just from my reaction to the HM I think Knotts Scary Farm is a no go for me. I especially don't like clowns, they are creepy for sure. The idea of being able to kill ghosts does intrigue me but I might just freeze. Now that I think of it there was someone in a wheelchair up ahead and it seemed like it was easy for he or she to get through the maze but some of the rooms were not very friendly including that one. I am glad to hear that the Knott's staff was friendly and helpful. But it is good to note that.